Roleybushcare is an environmental community group that is focused on maintaining and protecting the bushland around the Roleystone and Karragullen areas. We are a non-profit, volunteer organisation. The group receives funding from the City of Armadale, sponsorships and government grants to pay for the cost of materials and to run the group. We have regular revegetation field days during winter and dieback treatment field days during spring, summer and autumn.These days are made possible by the continuous participation of the community, so if you have the time, please feel free to join in. To work with the community to improve the conservation and social values of Roleystone bushland reserves. To treat the bushland reserves in and around Roleystone to prevent the spread of dieback and minimize the impact of the disease on the reserves. To educate the Roleystone community about the causes of dieback, nature of its spread and methods to treat susceptible or infected plants. To encourage the community to reduce the risk of spreading or increasing the impact of dieback on local government reserves and on their own properties. To foster dieback awareness and knowledge of methods to combat dieback in other local communities and conservation groups. The Roleystone Dieback Action group (aka the Dieback Busters) was formed in 1991 when concerned residents were noticing the Jarrah trees in the area were dying. Dr Ian Colquhoun founded the group and chaired it for 21 years. 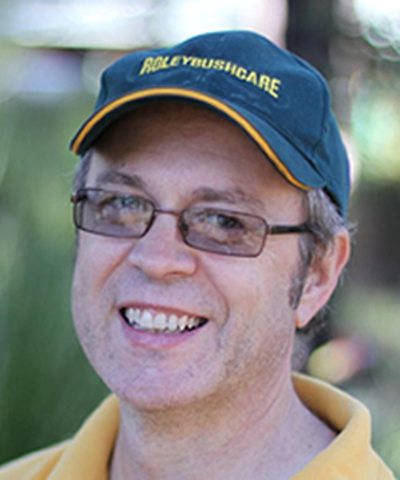 An independent website, www.roleybushcare.com.au was originally created by Chris Horgan and Paul Mutton in March 2006. The website's original objective was to provide a forum for environmental groups and to provide a source of local bushland information for the area. Once realising that our objectives were akin, in 2007 the resources for the website and the Dieback Busters merged. The group was renamed Roleybushcare and the website is now managed by the group. On July 16 2009, 220 attendees went to the Western Australian Dieback Conference. A contingent from Roleystone was amongst the crowd. The Roleystone group has had an immeasurable impact on dieback management. A significant contribution has come from Dr Ian Colquhoun who addressed the conference focussing on a worldwide perspective of dieback, including the effect of a related Dieback water mould in Chile that has affected 60000 hectares of forest and created devastation on the Kauri forests in New Zealand. It is now recognised that there are over 140 species of dieback (up from only 70 ten years ago). So how did Roleystone get to lead the world in this area? 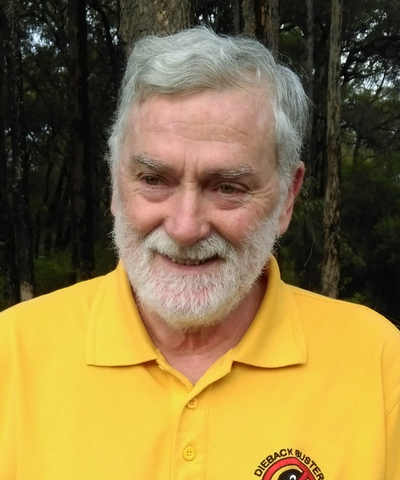 Once again it is largely down to Ian Colquhoun who first noticed that the Jarrah trees were dying at the Roleystone District High School site, over 17 years ago. (At this stage it was widely understood to be Jarrah Dieback and thought to be largely exclusive to Jarrah trees). Ian knew that CALM had already developed a technique to treat trees to improve their chances of survival but there was no way to get this distributed or to get the expertise out there. So Ian and some like-minded friends founded the Roleystone Dieback Action Group and they 'started injecting trees and educating the public about how to limit the spread of dieback!' The rest, as they say is history. This model was very successful and became the template for other groups across the state. Later the group diversified to include other areas of bush management and thus Roleybushcare was born. We usually hold at least one field day per month in our local Reserves and they last about three hours. A lovely morning tea is supplied. We encourage members of the community and friends to come along and learn how to protect their own bushland properties from Dieback Disease or help plant new seedlings into our bushland. Students needing to fulfil their "community services" requirements for their High School, Scouts or Guides merit badges or the Duke of Edinburough Award are encouraged to join us. (Contact us if there are quite a few students as we need to organise this ). We have a meeting once each month to plan our next field day. We have a lovely morning tea supplied by a lovely group of ladies who share this duty.